When Bruce Willis and Mary-Louise Parker announced the 2015 Tony Award nominations on the morning of April 28, they made a bunch of thrilled Broadway stars jump for joy in their PJs (or at least, that's how we imagine it happening). After calling their moms and texting their friends, many of the nominees jumped on Twitter to share their excitement with the world. 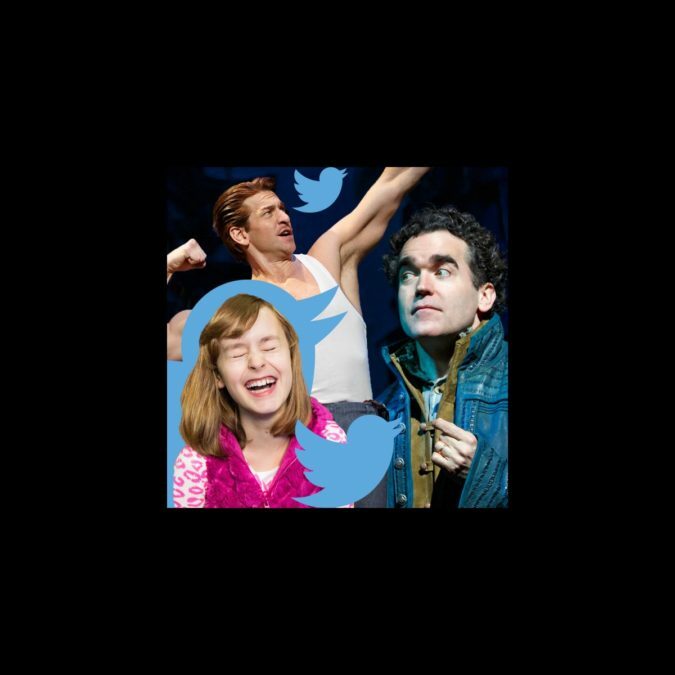 Take a look at what some of our favorite nominated performers had to say on social media. Well I'm speechless! Huge congrats to my family at @AmericanInParis and ALL this year's @TheTonyAwards nominees! Wow. What an unbelievable honor! So proud of all the noms our production got, and to be part of the extraordinary community that is Bdway. Bruce Willis said my name on TV. To say I'm overwhelmed is an understatement #TonyNominations @AmericanInParis @TheRoyalBallet . Dreams do come true. I wouldn't want anybody else representing @GigiOnBroadway than @Vicki_Clark. So happy for all the nominees! Congrats to all this year's @TheTonyAwards nominees! Especially our own @HeidionBroadway's Elisabeth Moss! Enjoy the ride! Congrats to the nominees! And for all of us this season, let us take a page out of Coach Taylor's book: CLEAR EYES, FULL HEARTS, CANT LOSE!